We’ve provided internationalisation opportunities for young people in the UK for over 25 years. 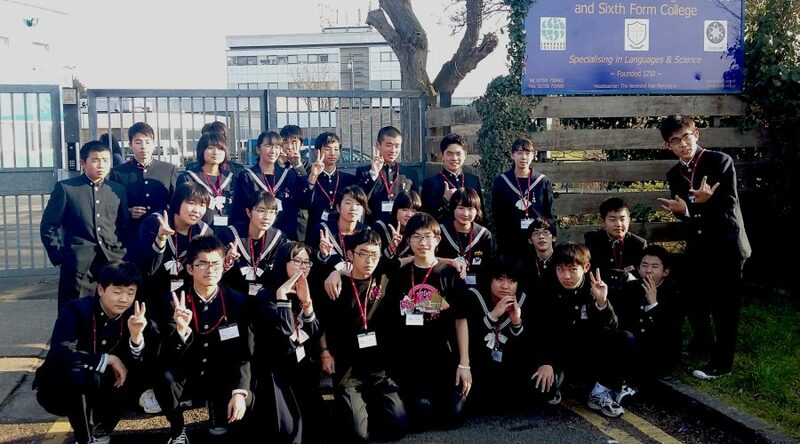 We’re privileged to partner with several UK schools to arrange visits to them by small groups of pupils from Japan. Opportunity to meet and get to know peers from abroad. Shared lessons and tasks break down mental barriers to internationalisation, and forestall development of prejudice. Aid to pupils’ understanding of the complexity of their own identity, as they learn about the lives of new friends with very different cultural backgrounds. Improved understanding of the complex reality of life in other countries, and the diversity found there. Aid to a more authentic knowledge of Japanese culture, and to an extent, East Asian culture. Visits typically last from one day. Visits, are usually accompanied by teachers of English as a Foreign Language or CHE staff, to help things to run smoothly. There is great flexibility to arrange a day that suits your school. Shared activities may include shadowing of lessons, shared tasks (e.g. Science or PE), presentations from the Japanese pupils or vice-versa, or intercultural education and exchange opportunities. If you’re interested to explore this opportunity with relation to your own school, please get in contact using the form below. I’d be pleased to discuss any aspect of this programme with you or other school staff.